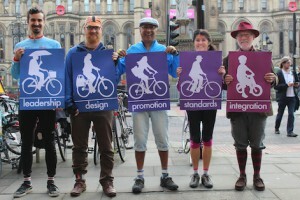 The Love Your Bike campaign is based in Greater Manchester. We aim to promote cycling and to help make it an attractive, accessible and fun way to get around. 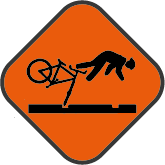 Cycling is far more than a leisure activity: it is the low-carbon transport of the future. Co-ordinated by Manchester Friends of the Earth, we aim to work closely with other like-minded organisations. Sign up form to join to the LYB mailing list. 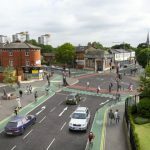 Show your support for the Chorlton to Manchester Cycle Way! 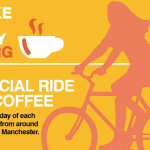 Bike Friday: Support the Chorlton – Manchester Cycle Way! On Friday 30th November, Love Your Bike are encouraging people to join the Chorlton Bike Friday route and show their support for the proposed Chorlton – Manchester Cycle Way. 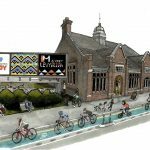 Can you help the Station South Restoration and Cycle Café crowdfunder ? We’re restoring an old railway station to its former glory and need your help to transform it into a destination cycle café, bar, co-working space and permaculture inspired garden! 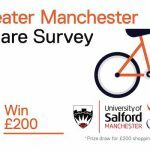 The University of Salford and British Cycling invite you to take part in an online survey on cycling and bike share in Greater Manchester. See our timeline (3.7mb pdf) of ten years of cycle campaigning and see our celebration! 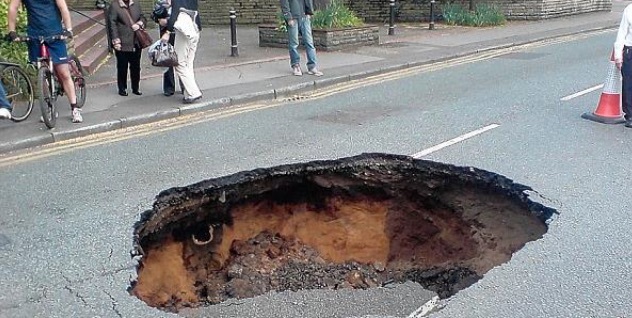 Spotted a pothole? 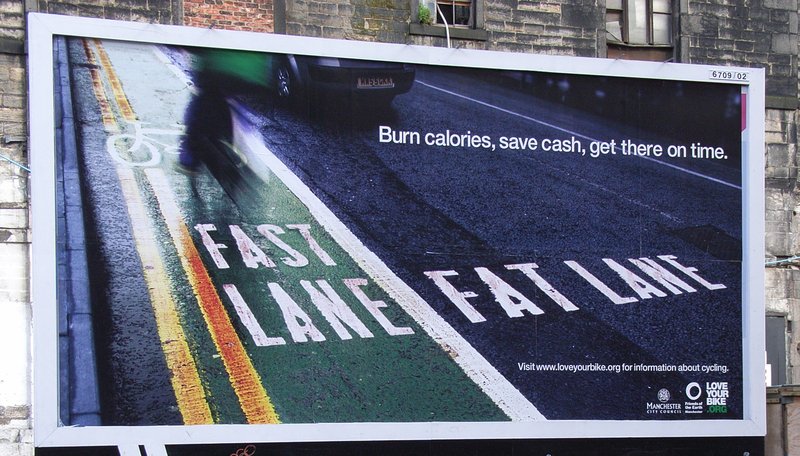 Report it and improve walking and cycling for everyone. All you need to make the most of cycling more often for more of your journeys. Created by Love Your Bike, ‘Getting Moving’ brings together a range of organisations in Greater Manchester in support of getting more people cycling for more of their journeys. 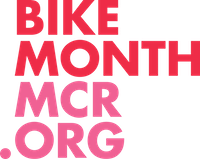 June 2015 is the third BikeMonthMCR with plenty going on for all interesting in enjoying cycling. Find out what’s going on in your area. Our calendar contains rides, adult cycle training, meetings, campaigns and more. 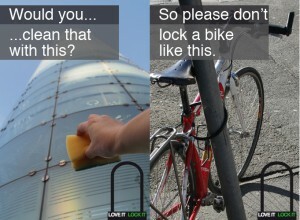 Our Love It Lock It campaign: info, tips and discounts. 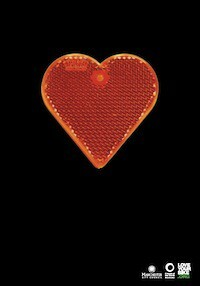 The ad campaign that launched Love Your Bike. On Friday 27th April, Manchester Friends of the Earth will be encouraging people across Greater Manchester to ‘Vote for Cycling’ when casting their vote in the local elections. See below for the Manchester City Council press release concerning the proposed Manchester to Chorlton Cycleway. See text below from Stockport Council regarding a consultation on the A6 Buxton Road (High Lane) – On carriageway cycle lane. The closing date for responses is Friday 23rd February 2018. ‘Made to Move’: Time to Act! ‘Made to Move’: £1.5 billion reasons to act ! We ran this email campaign in December 2017 in the run up to a Greater Mancehster Combined Authority meeting at which Chris Boardman would be presenting ‘Made to Move: 15 steps to transform Greater Manchester’.